Jessica, Jack and Wishler the pixie are going to Giantland, where everything is – well – GIANT! 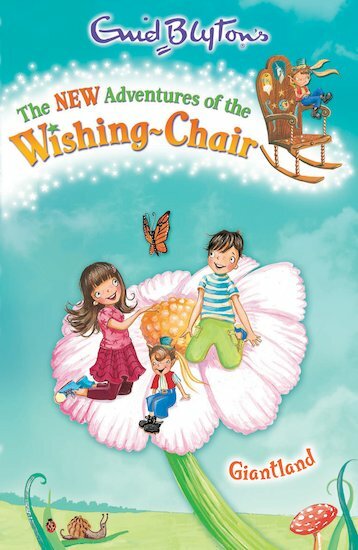 But when the Wishing-Chair is taken away to be the first prize in a talent show, the friends find themselves in BIG trouble. They must win it back, or they’ll be stuck in Giantland forever! How will they escape? It seems they must help Olga the giantess to win the talent show. But does she have the talent to succeed? This is TERRIFIC!!! the best part is that it also leaves you in suspense!!! This is almost as funny than any other book ever written!!!!! You guys just have to read this book!!!!! Narinder has written over 100 children’s books, including the Bindi Babes and Beautiful Game series, and the novel for the hit film Bend it Like Beckham. Narinder Dhami has won the Nottingham Children’s Book Prize for Animal Crackers,the Portsmouth Children’s Book Prize for Grow Up, Dad! and the Lancashire Book of the Year for Bang! Bang! You’re Dead.